Time for our last character reveal! A week from today, The Son of Neptune is published -- wow, I can't believe the date is almost here at last. Meet Hazel, a girl with a complicated past. Demigod? Yes. Is that horse important? You bet. Hazel has powers you have never seen before, because her godly parent is on the Roman side. 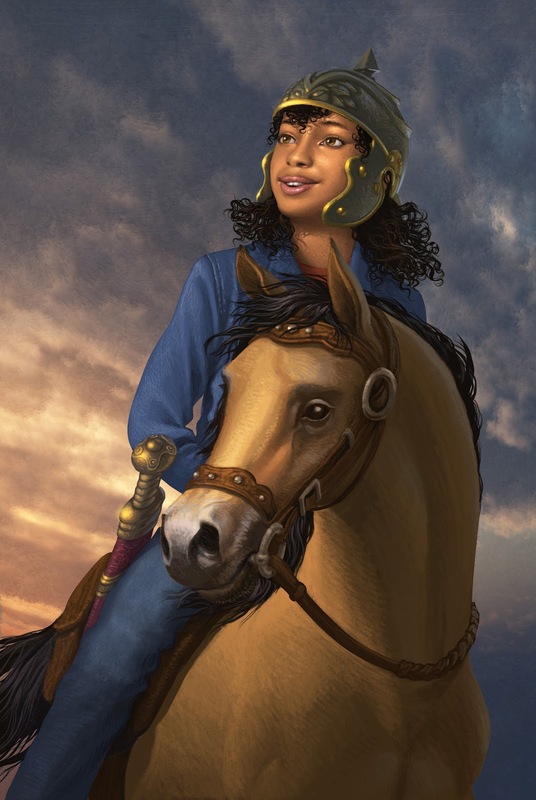 But (major hint) she is related to a character you know well from the Percy Jackson series.Which one? I think that will surprise you. I hope you all enjoy the book when it's published next week, and if I'm coming to a city near you, I hope to see you! Remember to check tour details at olympianweek.com.